Thanks for participating — give yourself a hand. And an antacid tablet! 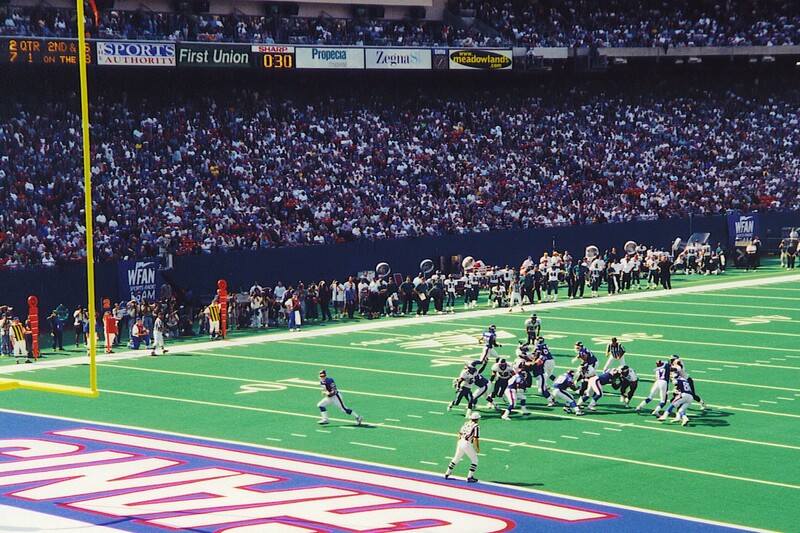 Which Super Bowl Is This? This year’s game will be Super Bowl XLIII, but I’d be surprised if there are more than DC or DCC football fans in all L states combined who could tell you off the top of their heads that XLIII is number 43. Roman numerals may be appropriate for royalty: Louis XVI, Elizabeth II. We also tolerate the use of Roman numerals for legal documents: “The provisions of Title IX, as the plaintiff asserts, are hereby…” and so forth. But to use that system of numerical notation for a head-knocking, bone-crunching game of football just seems wrong. After a lot of paper shuffling and throat-clearing, it was agreed that Super Bowl would be a place-holder name — just for the time being, they assured each other. Then someone suggested that using Roman numerals to designate each year’s edition would give the game a touch of class. With that, the meeting was adjourned, and we’ve been stuck with Super Bowl ever since. As far as the 2009 Super Bowl is concerned, here’s my prediction: Pittsburgh Steelers XXVII Arizona Cardinals XXI. Enjoy the game. Oh — and Hail, Caesar! One of the challenges of traveling abroad is the language barrier. I speak some Spanish, although a lot of it is phrases I remember from school. Many of those phrases, I have discovered, have little application in real-life circumstances: “¿Donde está su cuaderno?” (“Where is your notebook?”) hasn’t come up all that often in my travels. Other than Spanish, I have a little grab-bag of French, Italian and German words. When we go to countries where those languages aren’t spoken, I make a point of learning a few words and phrases in, say, Turkish or Greek or Czech — whatever is appropriate for the country we’re visiting. 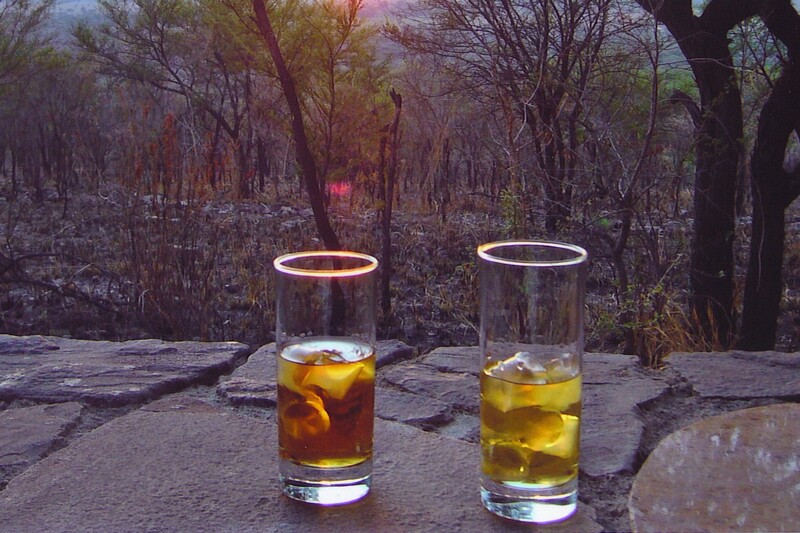 And in those countries, I always arm myself beforehand with the five words that are absolutely essential to communication anywhere in the world: “yes”, “no”, “please”, “thank you” and “beer”. The main train station in Prague still has signage in Russian, and looks like what we always thought Iron Curtain countries had to endure in terms of amenities… or lack thereof. It’s gloomy. The train did pull away from platform 2 promptly at 9:21. The villages and Czech countryside are picturesque, but the larger towns tend to reflect the “progress” inflicted by the previous regime: boxy concrete buildings and rusty train stations. My “first-class” cabin shares space with a middle-aged couple who speak Spanish; across the aisle are two Americans, presumably mother and daughter. I’m pretty sure they are stowing away in this car. When the conductor came to check tickets, they pretended to be asleep. He eventually got them to wake up, and they had to pay a supplement. The rolling farmland occasionally gave way to hillsides covered with pine and birch, and there was a river that ran alongside the track for several miles. I managed to avoid speaking to anyone for a couple of hours. Then I gave myself away to the Spanish speakers (who proved to be from Chile) when I tried to point out a deer (“¡ciervo!”) in the woods to the señora. After that, they referred questions to me in Spanish — things about where we were, would the authorities stamp our passports, etc. It was strange — I was having to summon up my Spanish after several days of trying to communicate with a handful of Czech words. The process for crossing the frontier by rail was stressful. 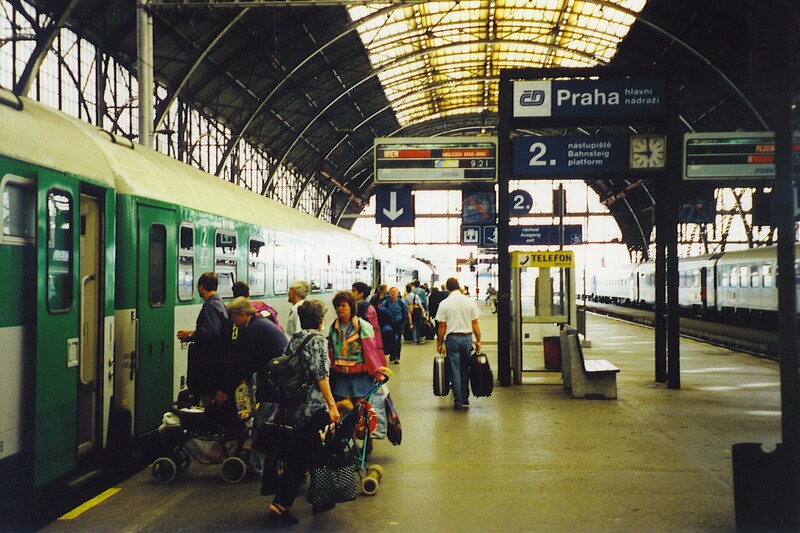 At the border town of Breclav, two Czech policemen boarded the train to inspect passports; they were followed by a platoon of armed Austrian border guards. I spoke Czech to the Czechs, German to the Austrians, all the while explaining the situation in Spanish to the anxious couple from Chile. After that experience I treated myself to a croissant (French word) and a bottle of Pilsner Urquell pivo (the Czech word for beer). Back in our school days, most of us developed the ability to fill our short-term memories with facts. We would retain things like “What is the symbol for silver on the Periodic Table of Elements?” (Ag) or “What is an attributive adjective?” (Your guess is as good as mine). By the time the school term ended, though, those facts had been flushed from our brains so that we could make room for the next batch of facts on which we’d be tested. 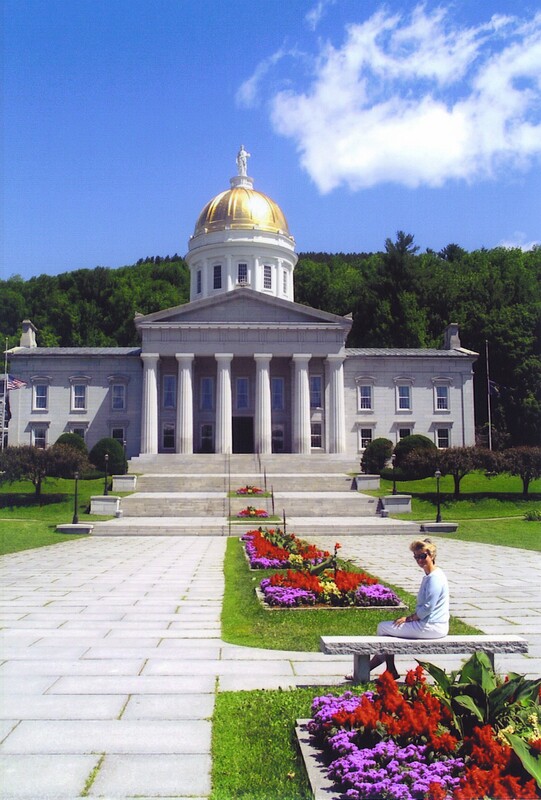 As a result, many of us can no longer recall from high school, say, the capital of Vermont (Montpelier) — what we remember is important stuff, like that kid named Leland in Geography class who used to pick his nose and wipe it on his pants. Try this one: Why is January 20th Inauguration Day? Time’s up! Pencils down. Originally Inauguration Day was March 4th, but the Twentieth Amendment to the U.S. Constitution changed the date to January 20th. The Twentieth Amendment, as we also used to know, was ratified in 1933, so Franklin D. Roosevelt was the first president to be inaugurated on January 20th. The primary purpose of the amendment was to shorten the time between the election and when elected officials actually went to work. The Founding Fathers and their successors knew that a newly-elected president needed time to close up his cottage and hire a carriage to take him to the far-off U.S. capital, which is why March 4th had originally been established as report-to-work day. 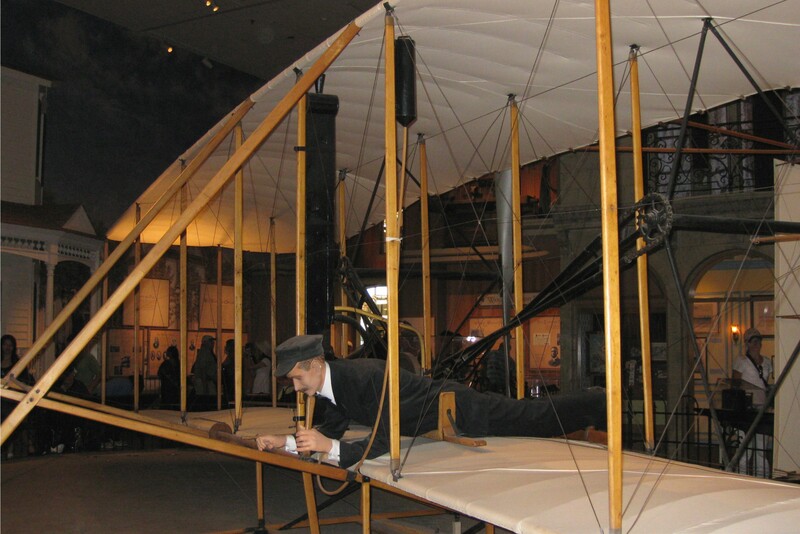 Among other things, the 20th Amendment reflected 20th-century modes of travel. By the way, I didn’t remember the details about the 20th Amendment, either — I had to look them up. One thing I do know is that I’m going to remember this particular inauguration, and what it says about the United States of America, for the rest of my life. After that first walk, he did it quite a few more times, always adding some new daredevil element. 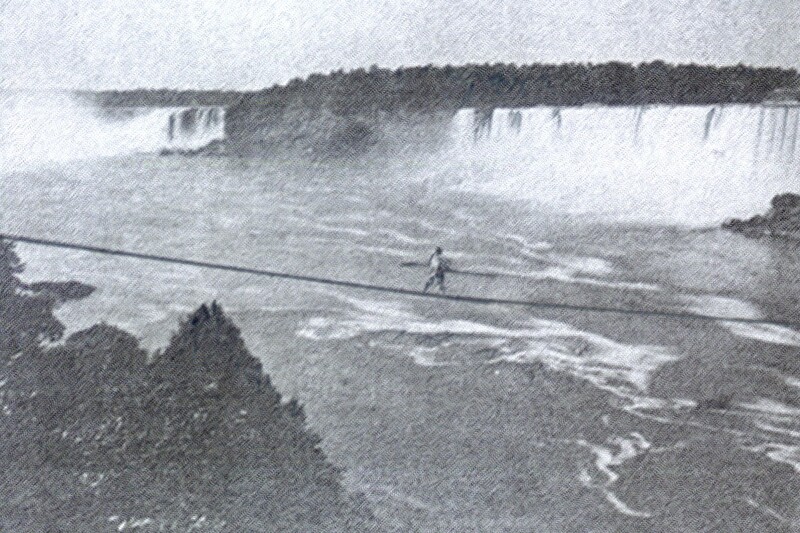 Blondin crossed Niagara Falls on stilts, on a bicycle, blindfolded, at night… one time he pushed a wheelbarrow along the tightrope; in the wheelbarrow was a stove. When Blondin reached the middle of the tightrope, he got out the stove, upon which he cooked an omelet. He ate the omelet and then completed the crossing. I first heard of Blondin’s exploits in a sermon many years ago. The minister cited Blondin to illustrate the difference between mere beliefs and actual faith. He told a story that may or may not be factual, but the gist of it was that Blondin was discussing with an associate the next variation for crossing Niagara Falls. He had hit upon the idea of walking that tightrope, 160 above the water, while carrying a man on his back. Blondin asked his friend if he thought it was possible. Although the minister’s point about having the courage of our convictions was made in a spiritual context, it applies to ethical, political and matrimonial issues as well. Blondin’s fifth crossing of Niagara Falls was with a man on his back. The man, incidentally, was his manager, Harry Colcord. There is no historical record of whether Colcord then demanded a higher percentage from his client. It’s true that this news is not all bad, because it presumably cuts down on the number of drunk drivers on our roads. That’s a good thing. But the reduction in bar business is one more example of the downward trend in, well — pretty much everything. On a daily basis we’re getting news that retail sales are down, movie ticket sales are down, construction is down, jobs are down, broadcast TV viewing is down, car sales are down, etc. Now we find out that even “bottoms up” is down. But everything can’t be down, can it? Doesn’t it stand to reason that if, for example, new car sales are down, then auto repairs (for the clunkers we presently own) should be up? That may not be the ideal illustration; I’m just saying that even in difficult financial times, people don’t just sit in a corner and stare at the wall for 18 hours a day. Here’s what I’m wondering: What’s up? (Besides anxiety, of course.) Any thoughts?